Besides being a priest, Ray is all about family and doing the right thing. However, Ray has never been involved in the family business; in fact, that�s why he became a priest - to get away from the mob life. 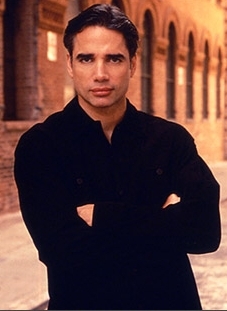 Always concerned about the welfare of others, Ray tries to convince people to do the right thing, whether that involves telling Danny (his cousin) to follow his heart about Michelle (when they first got married), or trying to persuade Pilar (another cousin) to come forward about her role in the murder of Ben Warren. Tony (Ray's brother) constantly used to come to Father Ray for advice before he died. Father Ray was always there to remind his cousins that the most important thing is that they are family and that families stick together. Father Ray has advised many of the other Springfield residents over the years, as well as presided over weddings, funerals and christenings. He advised both Natalia and Olivia when they needed a lot of counseling over their relationship, and he also talked a lot to Frank and to Natalia's son, Rafe.